The X1 is the newest addition to BMW’s crossover lineup and it is also the smallest. 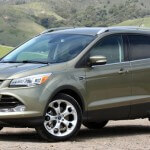 The subcompact premium crossover segment is a new one in the U.S. 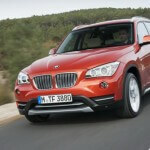 Although new to the US market, the BMW X1 has been on sale in Europe for more than three years. The 2013 BMW X1 is a Sports Activity Vehicle (SAV) that combines a useful passenger package with the driving dynamics like all BMWs. 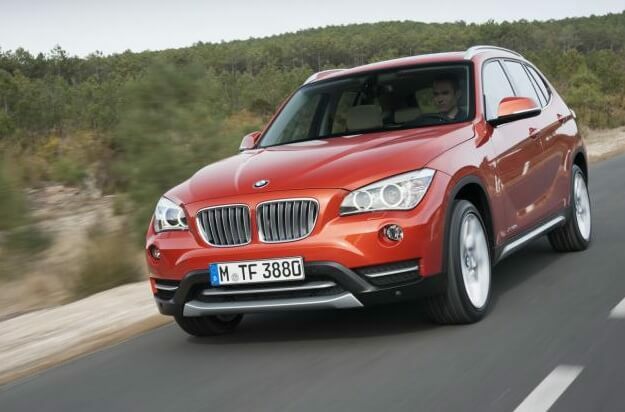 The all-new 2013 BMW X1 is offered in three trim levels. The all-wheel drive is standard in the xDrive 35i while the models with the smaller engine are offered with all-wheel drive ( xDrive 28i) or rear-wheel drive ( sDrive 28i ). The 2013 BMW X1 sDrive 28i comes standard with 17-inch alloy wheels, rear privacy glass, automatic wipers, automatic headlights, cruise control, foglamps, eight-way manual front seats, 60/40 split-folding rear seats, a tilt-and-telescoping steering wheel, automatic climate control, the iDrive electronics interface and an eight-speaker sound system with a CD player, HD radio and an iPod/USB interface. The xDrive 28i adds all-wheel drive and hill descent control. The 2013 BMW X1 xDrive 35i adds a more powerful engine, 18-inch wheels, a panoramic sunroof, adaptive bi-xenon headlights with washers and eight-way power front seats. The Premium package adds keyless ignition, keyless entry, leather upholstery, front-seat power lumbar support and auto-dimming mirrors. The Cold Weather package adds heated steering wheel and heated front seats. The Technology package includes a navigation system and BMW’s Assist Safety telematics system. The 2013 Hyundai Veloster is an innovative hatchback car with unconventional 3-door design (one on the driver side and two on the passenger side). 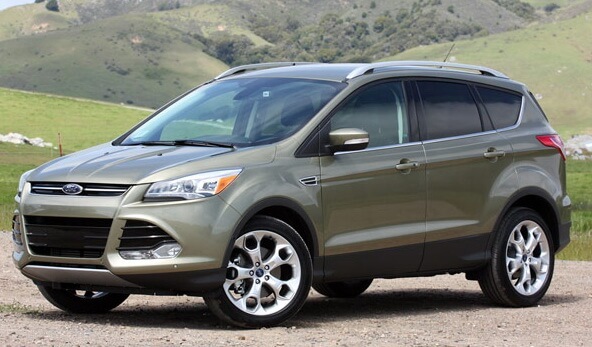 This car is offered in two trim levels: base (MSRP from $ 17,450) and Turbo (MSRP from $ 21,950). 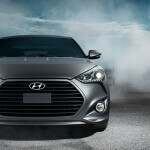 The 2013 Hyundai Veloster Turbo is an all-new model with a more powerful engine. The Hyundai Veloster Turbo competes with cars like the Volkswagen GTI, Honda Civic SI, Mini Cooper S and Subaru BRZ. The 2013 Hyundai Veloster Turbo comes standard with 18-inch wheels, LED running lights, foglamps, heated mirrors, keyless entry, cruise control, keyless ignition, heated front seats, driver lumbar adjustments, a tilt-and-telescoping steering wheel, leather upholstery, a leather-wrapped steering wheel and shifters, a touchscreen electronics interface, a sport-tuned steering and a sport-tuned suspension. The Ultimate package adds to 2013 Hyundai Veloster Turbo the rear parking sensors, automatic headlights, panoramic sunroof, 115-volt outlet, navigation system and rearview camera. 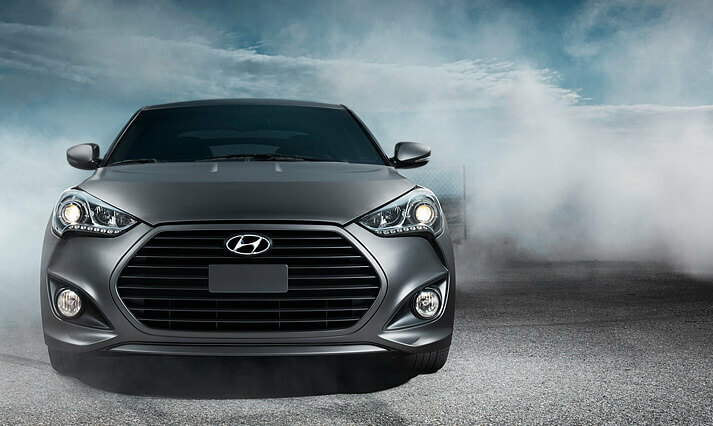 The agressive personality of 2013 Veloster Turbo means it can be dressed in an exclusive Matte Gray, a Hyundai first. All 2013 Veloster Turbo models are available in colors that fit the cars “own-it” attitude and characteristics of a long-distance runner, including Elite White. Interior color choices are Graphite Black or exclusive to the Veloster Turbo Graphite Black with Blue accents and headliner graphics for non-panoramic sunroof models.